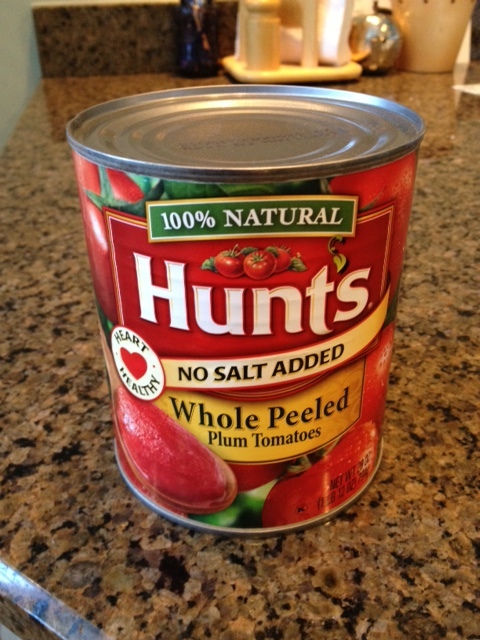 My 2012 angioplasty set me on a path to change my eating habits to lessen the chance of future heart problems. I went on to drop nearly 30 pounds over the first two years after the surgery. But 2015 proved a setback year for me, so much so that last week I went out to buy some 40-inch-waist pants again, after having thrown out the ones I had back in 2012. Studies have pointed to increased risk fo heart problems for men with waists larger than 38 or 39 inches. I’ve hovered between 38 and 40 most of my adult life, getting as high as a 44 at one point. I find my equilibrium waist, the size I feel most comfortable with, is normally around 39, which puts me in dubious territory heart-wise. So what happened last year? I got tired of always being hungry, for one thing. Also, a variety of external stress factors as the year wore on simply wore down my resolve to eat well. I gained 14 pounds over the course of the year, but six pounds of that came in December thanks to a trip to the place of my birth, New York City, where I ate all the foods I grew up loving — all high in fat, sugar, salt and calories. My eating binge continued into the Christmas-New Year’s holidays as I once again ate chocolate and candies I have largely given up. With a new year here now, it’s time for me to jump back on the low-salt, low-fat, low-sugar bandwagon, which will mean a return to hunger pangs but, also hopefully, a return to a smaller waist size as I drop enough pounds to go back to my 38-inch-waist pants. I recently participated in an annual event here in Chicago, an American Heart Association fund-raising heart walk, that I found profoundly moving for me. 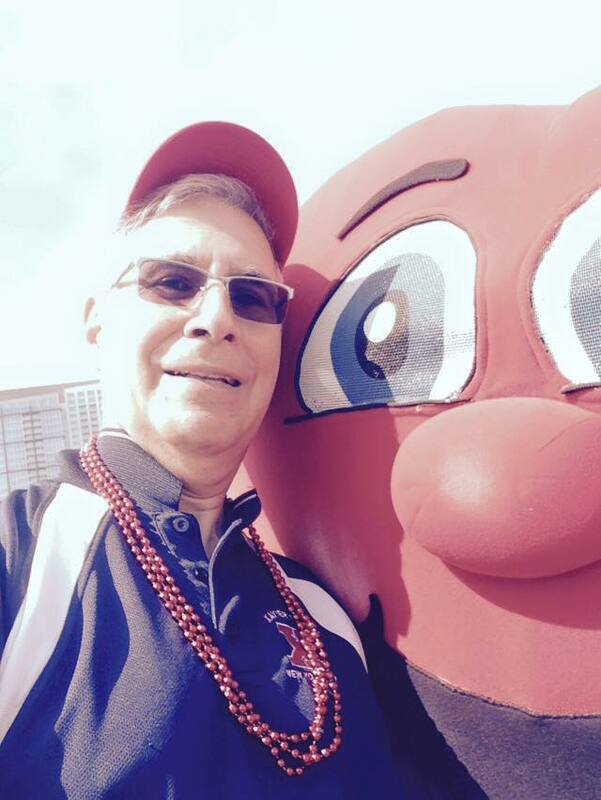 Me with the heart mascot, sporting my survivor’s cap and beads for each year since my 2012 surgery. Survivors of heart attacks and strokes receive special heart association baseball caps for the event, red for heart attack survivors, white for stroke survivors. They, I, also get strings of mardi gras-like beads, one for each year they have survived. I received three strands of beads this year, the third since my 2012 angioplasty. While this is a food blog and not a health blog, I ask reader indulgence for this post which will talk a bit about my health. I recently had my two-year checkup for my heart following the angioplasty I had done in 2012. The news was all good. My blood pressure is in normal ranges now, although I take medication to keep it there. And my doctor took my off one of my post-surgery medications, something called beta blockers which slow your heart down. Taking those the past two years meant I always felt I was walking through mud, fighting my way every step, really. 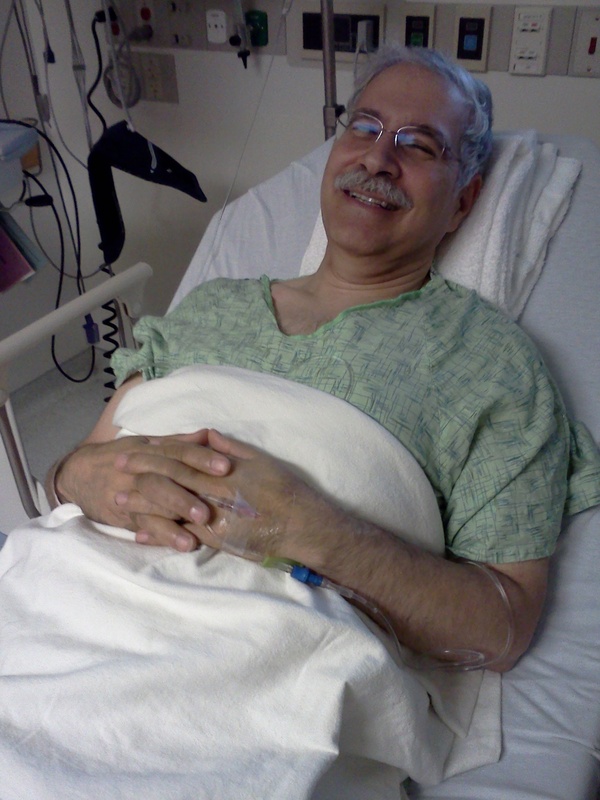 Me, following angioplasty in 2012. I’ve since lost 23 pounds. Thanksgiving menu planning can be tricky when you’re on a low-sodium, low-fat, and low-sugar diet. 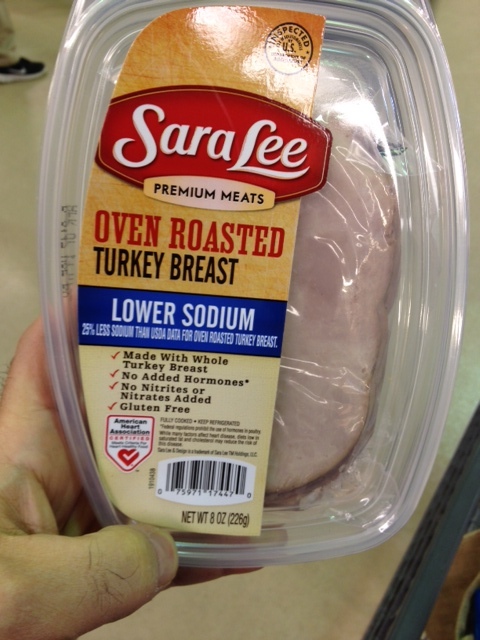 I wrote recently about searching for fresh turkey to avoid frozen and brined ones that can be loaded with salt. 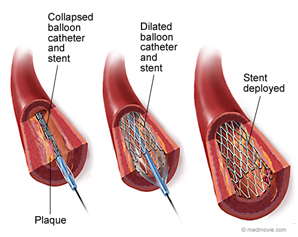 My angioplasty took place Aug. 13, 2012, so I have now lived for one year with a stent holding open one of my major arteries. To keep that artery open, I have completely changed my eating routines as well as going on a regimen of medicines that had me taking five and a half pills a day. The result has been a 25-pound weight loss and a positive checkup last week that resulted in me being taken off one of my medications. 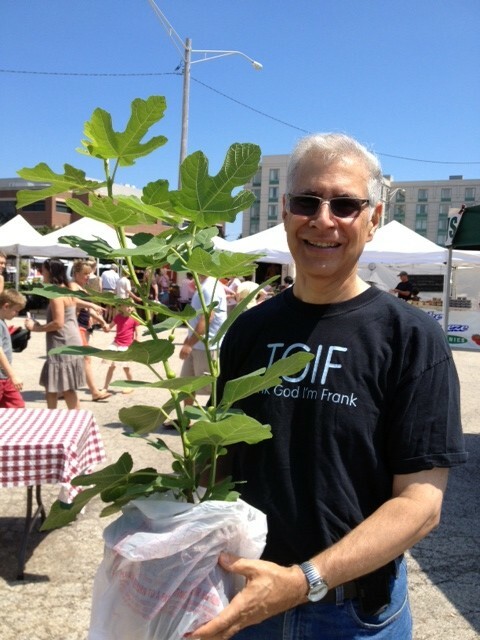 Me at the farmers’ market with a fig tree I bought. To say all this had been easy, or a great opportunity to try new foods, would be absurd. Indeed, I stopped talking to one long-time friend who suggested that last year on a blog we once did together. Unfortunately, he had no clue why I could no longer meet him at some of our old eating haunts to watch him eat dishes I could no longer consume. As a better, longer-term friend who also went through an angioplasty before I did predicted to me, there wasn’t a day in this last year when I didn’t have some ache or pain, real or imagined, that caused to worry I might be having the heart attack I dodged last year. Hardly fun times. I have tried to live this past year to the very fullest, writing a one-act play I had been talking about writing for years; working with my wife to produce two performance of the play, and subsequently to write the second act as well. I agreed to a long-wished-for trip to Italy to find my family roots with a group of cousins and my wife even though every day leading up to and during that trip, I was sure the trip itself would kill me. I even agreed to go to a family reunion on my wife’s side at Disneyworld roughly four months after my surgery, when just walking was still a shaky experience for me. I lost four pounds in four days on that jaunt because of the lack of healthy food options at Disney or Universal Studios. But I survived, I survived it all and I’m doing well. My doctors are thrilled and I’m thankful. Last weekend, my wife and I went to our suburb’s farmers’ market and I remembered walking around the same market not long after my surgery in 2012. That day, I felt so shaky that I convinced my wife to let me wander alone a bit (she was frightened about leaving me). I convinced her to leave, not because I was feeling fine, but because I was sure I was about to pass out or worse, and I didn’t want her seeing that. I didn’t pass out, as woozy as I was from the higher doses of medication I was on then. I have used this year to build this website to help any and all of you dealing with your own massive changes in diets and health. I know how tough it is, but you can change how you eat to survive, to survive for the people around you, and to enjoy the non-food portion of life yourself. With my help, hopefully, you also can enjoy some parts of your new food life. Keep reading and keep trying. 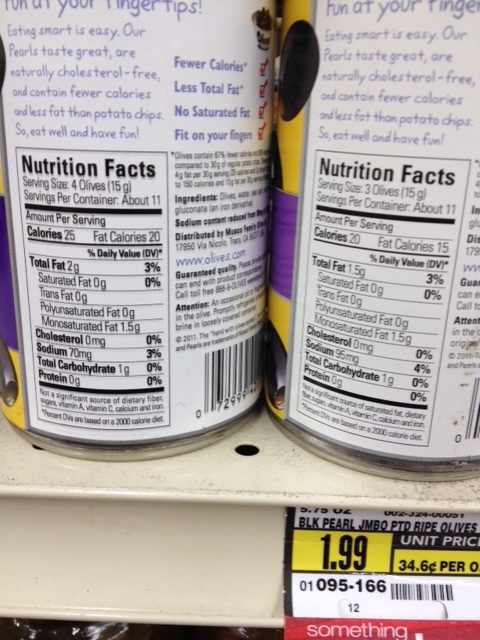 Before you can cook low-fat, low-salt recipes like we have on our recipe page, you have to find ingredients that also are low fat and low salt. Something as innocuous as bread crumbs can be loaded with salt, for example. So I’ve been walking up and down store aisles and searching online for low-salt, low-fat items such as sauces and the leanest possible red meats. See what I’ve come up with on our new ingredients page. And let me know what you can find in your area of the country, or the world depending on where you read this.